As part of its forthcoming model offensive, BMW has developed a new presence for its luxury cars that sees the profile and positioning of the most exclusive members of its range refined into a distinct product category. The upcoming BMW 8 Series and BMW X7 as well as the BMW i8 and the upcoming BMW i8 Roadster will join the BMW 7 Series in the brand’s significantly expanded luxury segment line-up. These cars appeal strongly to the heart, so they are particularly well placed to enrich the characteristic lifestyle of customers in this segment with authentic, emotionally engaging experiences. The identity and attitude shared by BMW’s elite models are echoed in a newly designed logo which combines a black-and-white version of the manufacturer’s roundel first used 100 years ago with the company name “Bayerische Motoren Werke” written out in full. The new presence for the brand’s luxury-segment models will be unveiled for the first time at the IAA Cars 2017 show in Frankfurt on 14 – 24 September 2017. Free-thinking, pioneering spirit creates progressive luxury. Luxury in a car represents the fruit of peerless expertise in various fields of development. Authentic, compelling and, above all, modern luxury draws on a well of tradition and pioneering spirit, and is rooted in years of experience, deepening knowledge and a talent for innovation. The flagship models in the BMW portfolio embody a new understanding of luxury – one which brings together an emotionality defined by inspirational aesthetics and the joy of driving with the experience of freedom and self-determined individuality. Inspiring experiences, unique moments in time. BMW is focusing its attentions on the continued development of relationships with customers, on experience and emotion, and on bespoke offerings. The brand’s goal is to offer customers a special mobility experience every day, courtesy of unique and improved services. Upcoming service appointments are carried out as part of a pick-up and return service tailored precisely to the customer’s individual needs. And the specially-conceived Add-on Mobility service for luxury car customers offers unbeatable flexibility and freedom. For example, if a BMW 7 Series driver requires additional transportation capacity, they can jump straight into a BMW X7. 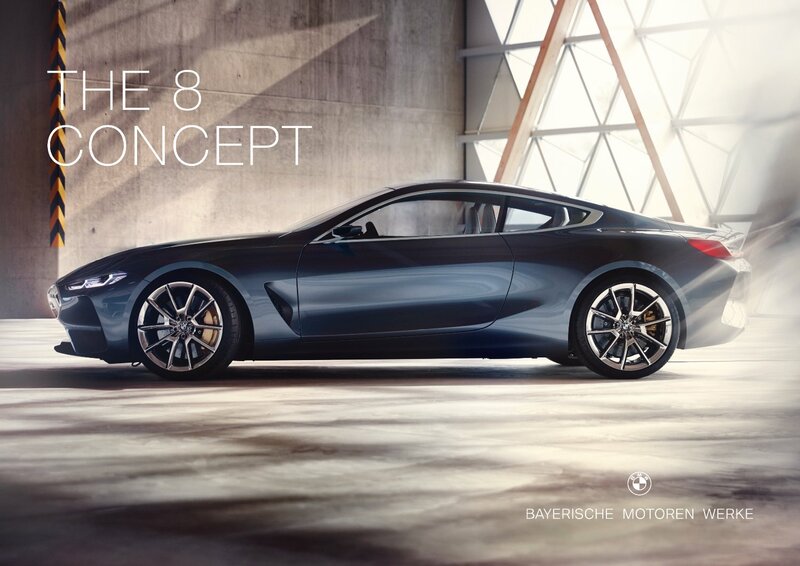 While for the pleasure of a sporting weekend drive a BMW 8 Series will be at their disposal. Indeed, emotional added value is on hand at any time, not only through the product substance of the driver’s own car, but via services designed to open up rich experiences. The line-up of BMW models and services for the globally expanding luxury segment is complemented by a world of experiences taking their cues from the particular requirements of a modern, international target group and extending far beyond the pleasure of driving a car. The BMW i Pure Impulse Experience programme for BMW i8 owners has paved the way for customers around the world to experience some remarkable cultural, lifestyle and travel events – from exclusive sightseeing tours and gala dinners in Michelin-starred restaurants to visits to the Grammy Awards in Los Angeles, the Art Basel fair in Hong Kong and the White Turf horse races in St. Moritz. The company’s commitment to laying on a very special experience of mobility – and the desire, so typical of BMW, to compose unique moments of inspiration – sees the brand embarking on the largest luxury-segment model offensive in its history. “We’re building up a luxury ecosystem of unique services and experiences which embraces the full range of luxury models and creates some extraordinary and unforgettable times,” explains Wortmann. BMW’s extensive track record of appealing to the emotions reflects its love of special moments – and its boldness in creating those experiences for customers and fans. Take the BMW Art Car Collection, a series of “artworks on wheels” without compare worldwide. Since 1975 renowned artists from around the globe have turned series-produced models and racing cars from the brand into widely admired museum exhibits. Among the BMW Art Car Collection’s standout expressions of authenticity is that many of these one-off works of art have celebrated their premieres not at an exhibition or such like, but on the race track.